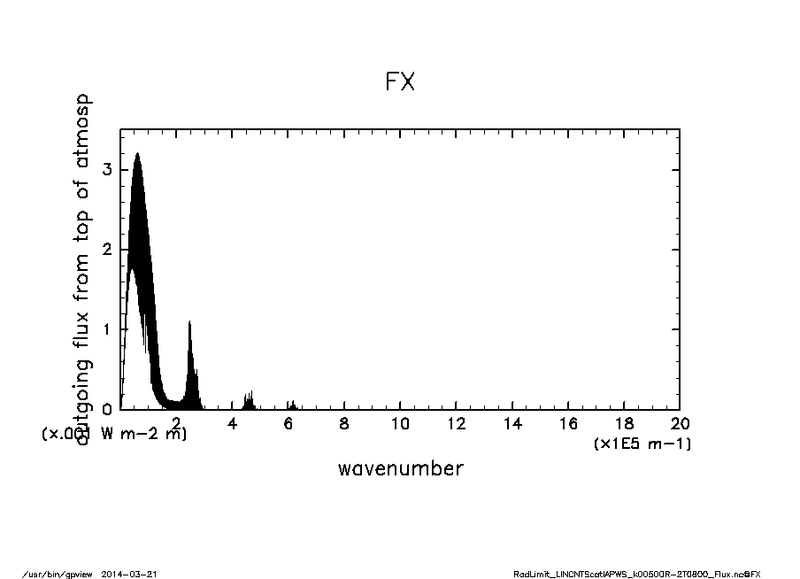 We prepare absorption cross section table. Required absorption cross section is calculated by cubic spline interpolation. 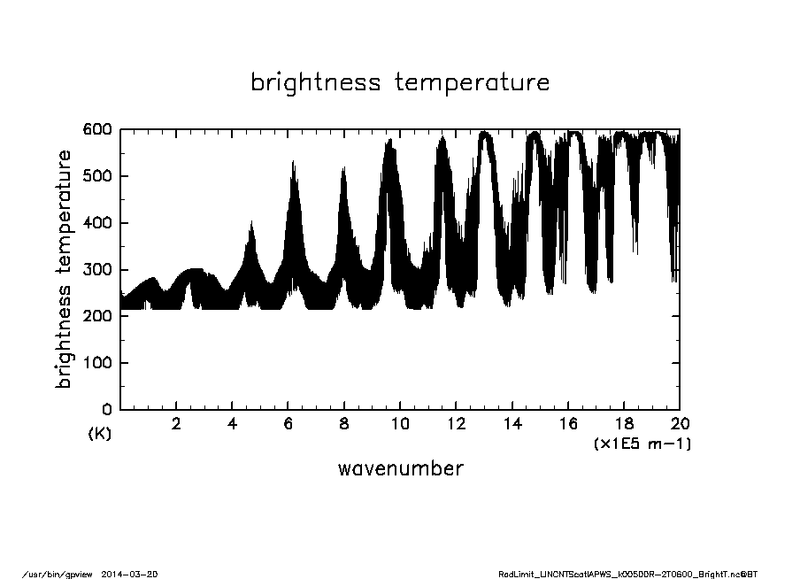 Goldblatt et al., 2013, Nature Geoscience, vol.6, 661--667: Low simulated radiation limit for runaway greenhouse climates. 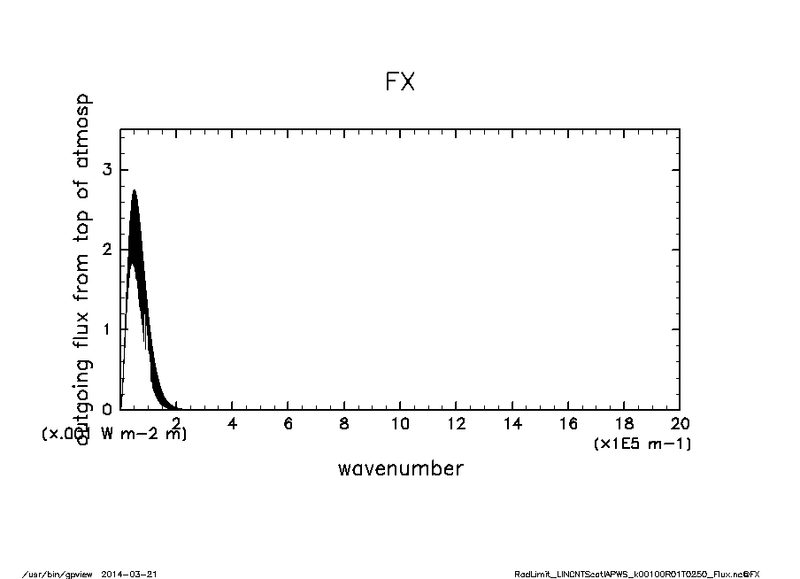 Kuntz 1997, JQSRT, vol.57, No.6, 819--824: A New Implementation of the Humlicek Algorithm for the Calculation of the Voigt Profile Function. 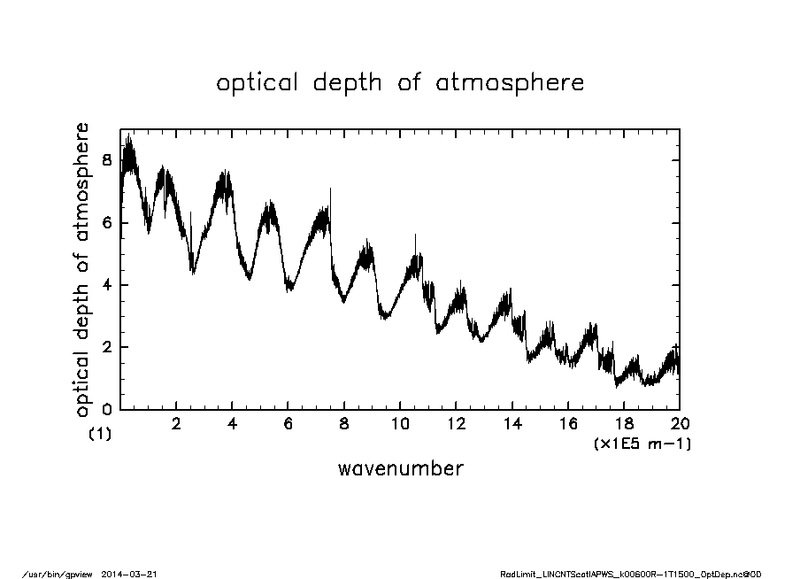 Mlawer et al., 2012, Philosophical Transactions of the Royal Society A, vol.370, 2520--2556: Development and recent evaluation of the MT_CKD model of continuum absorption. 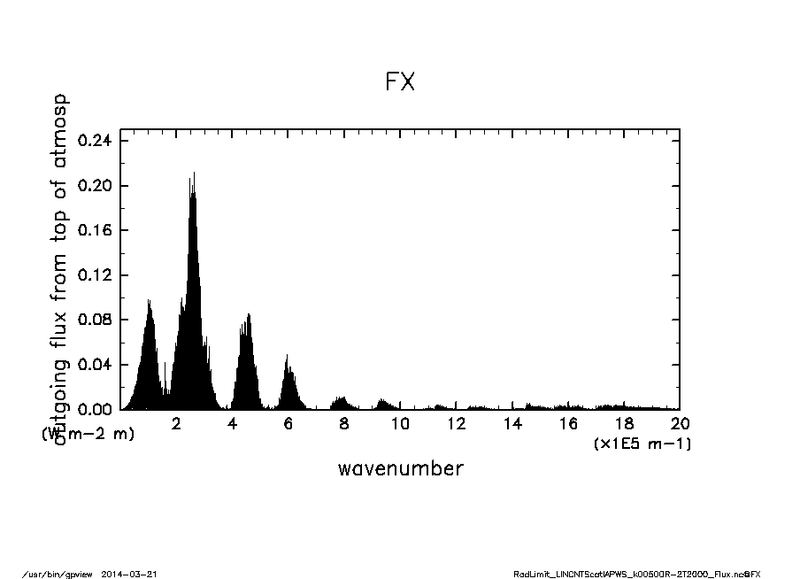 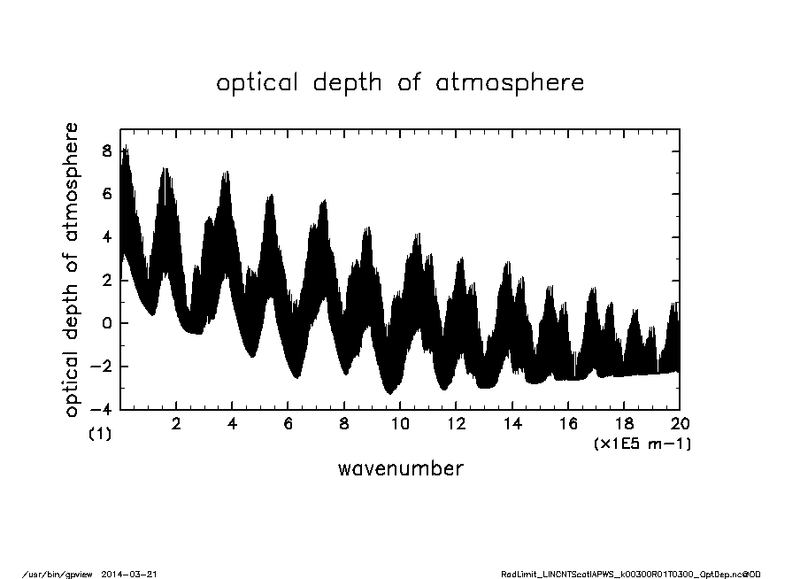 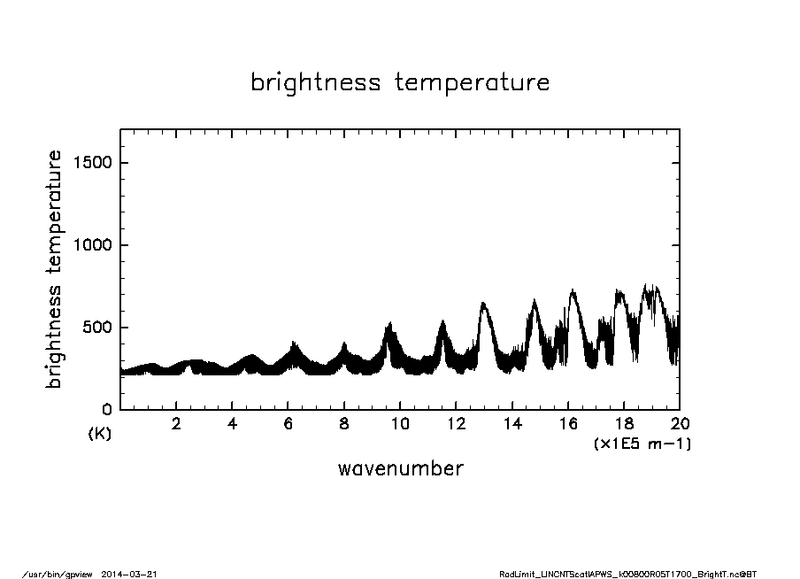 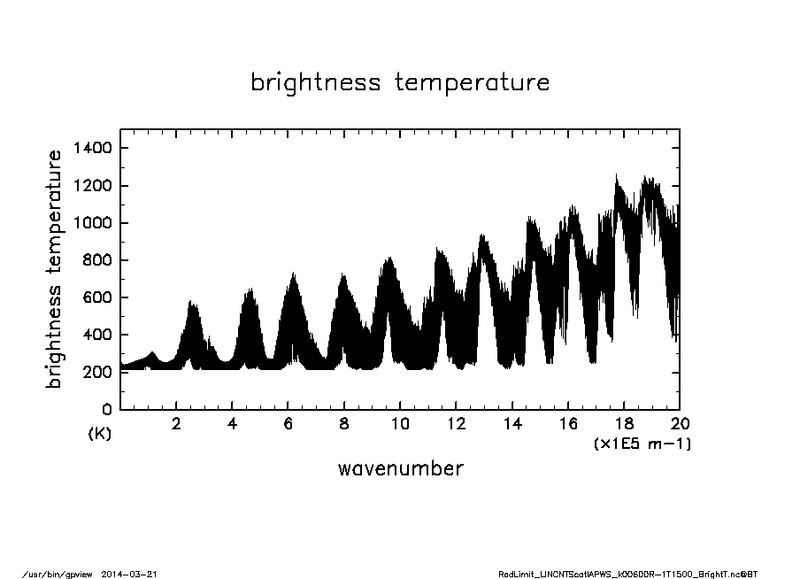 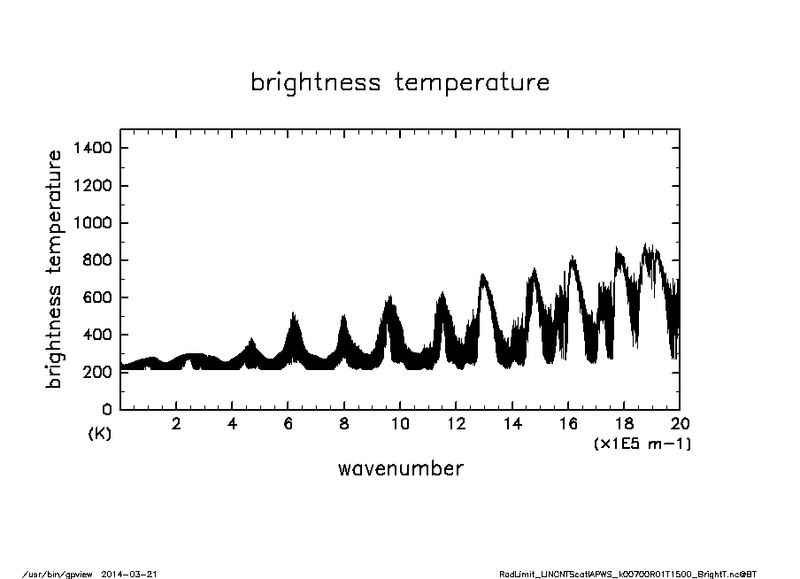 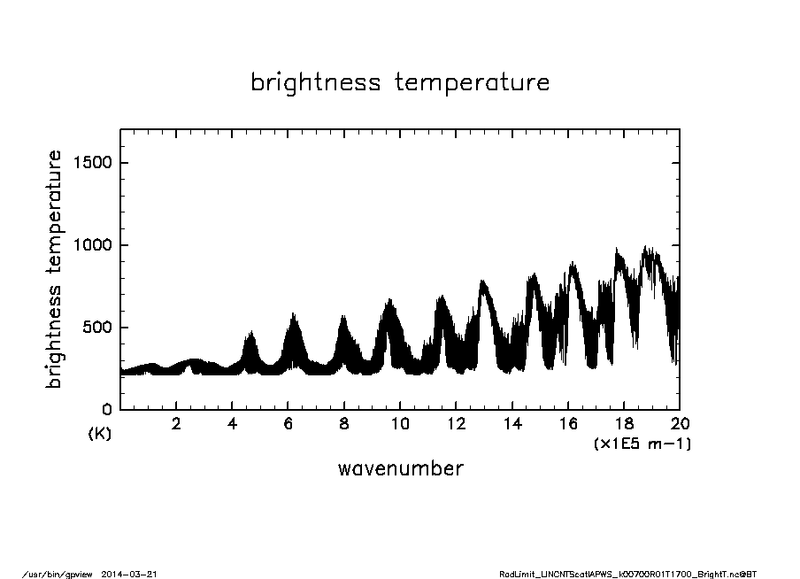 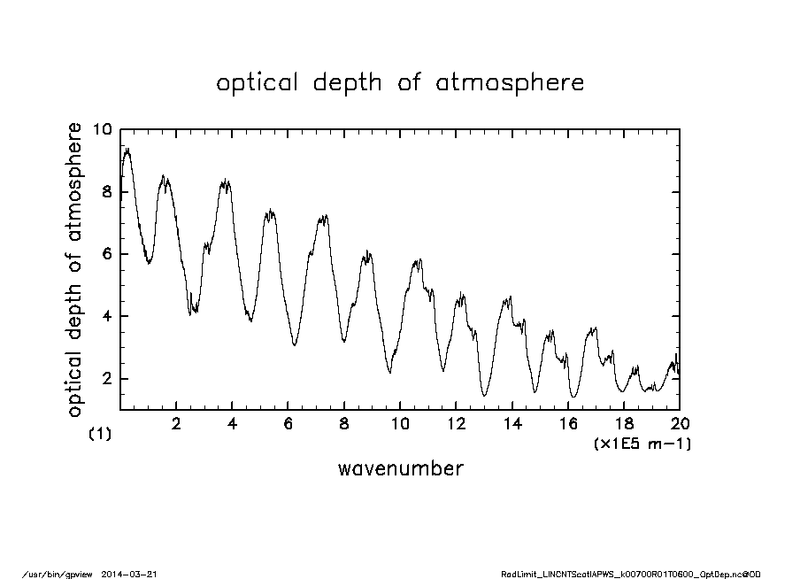 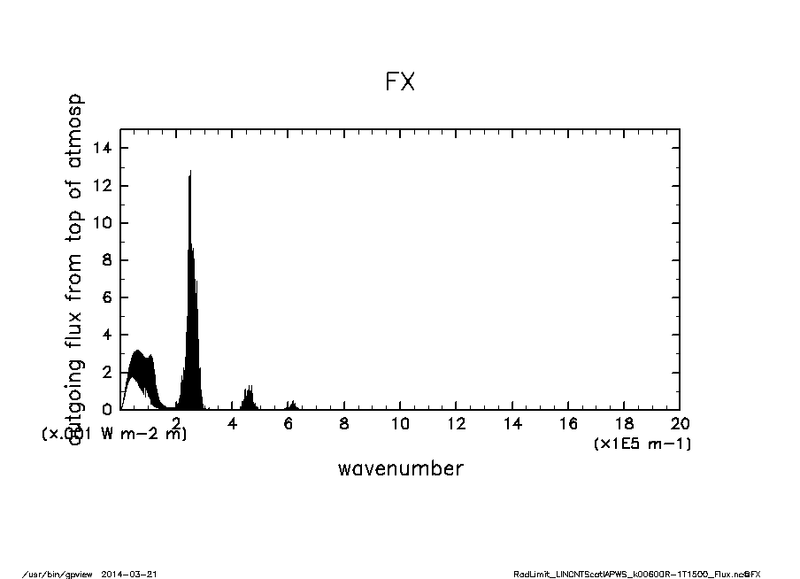 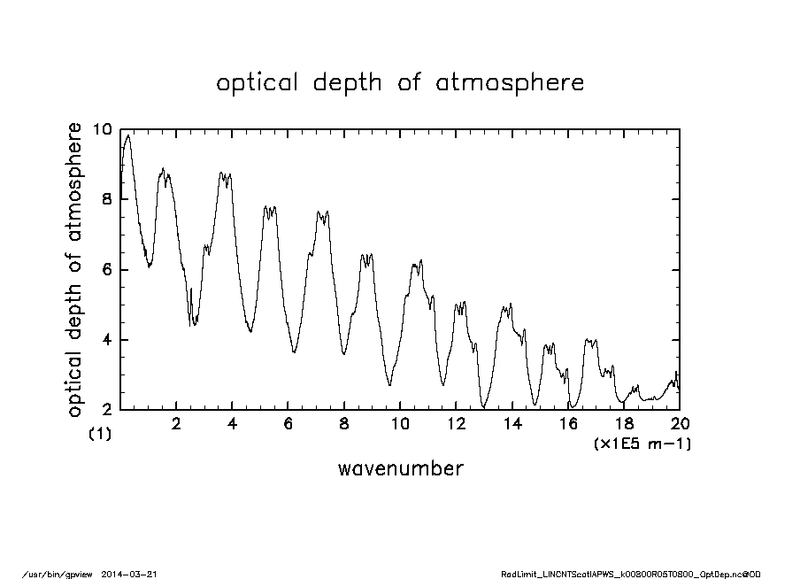 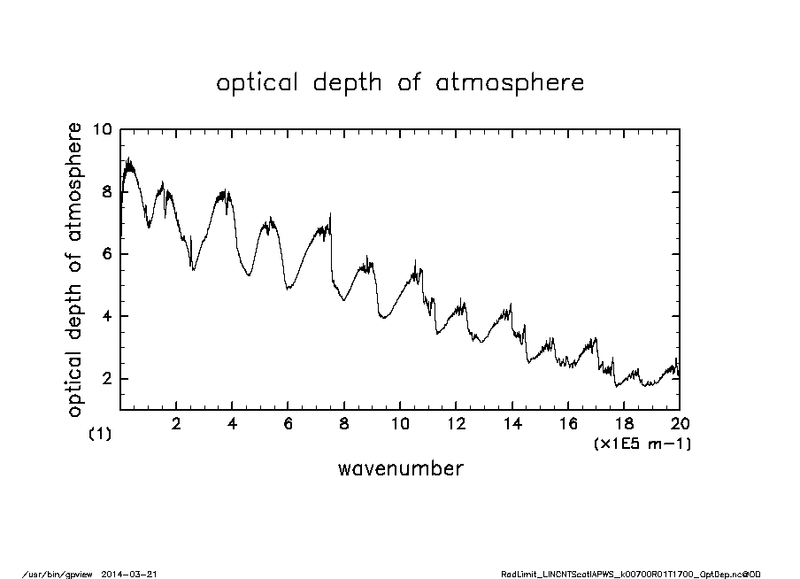 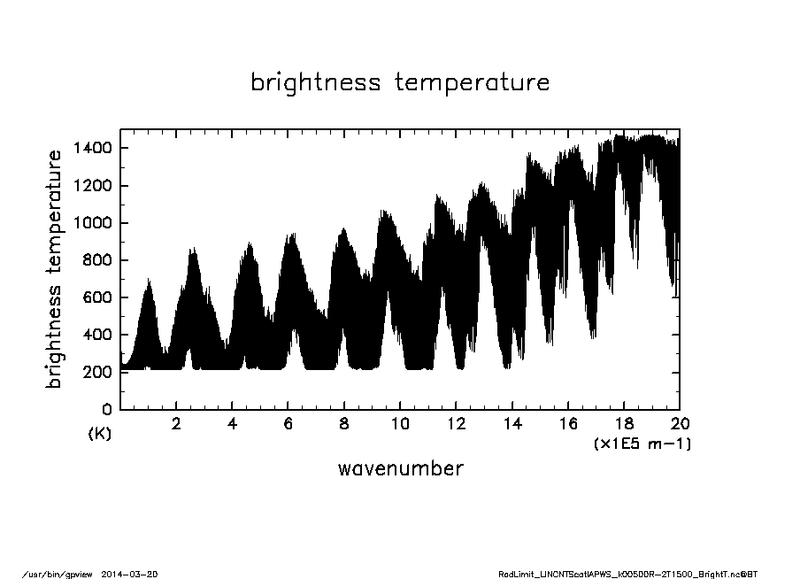 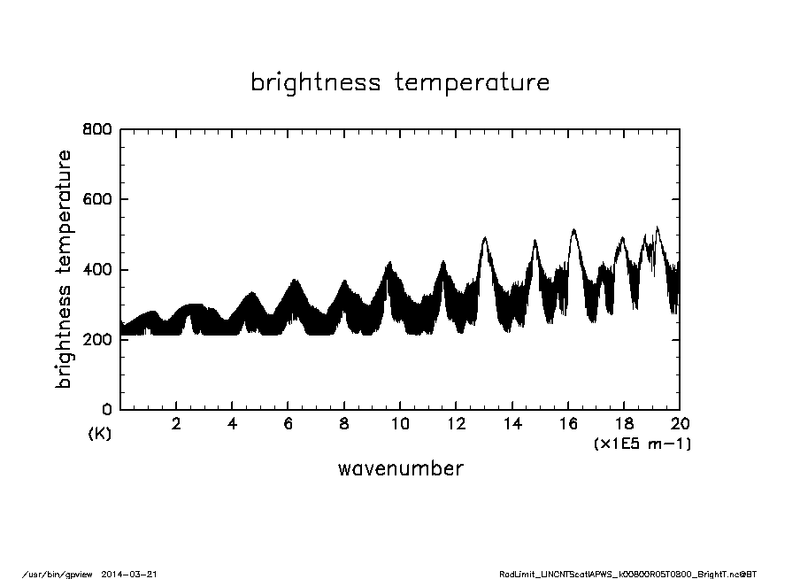 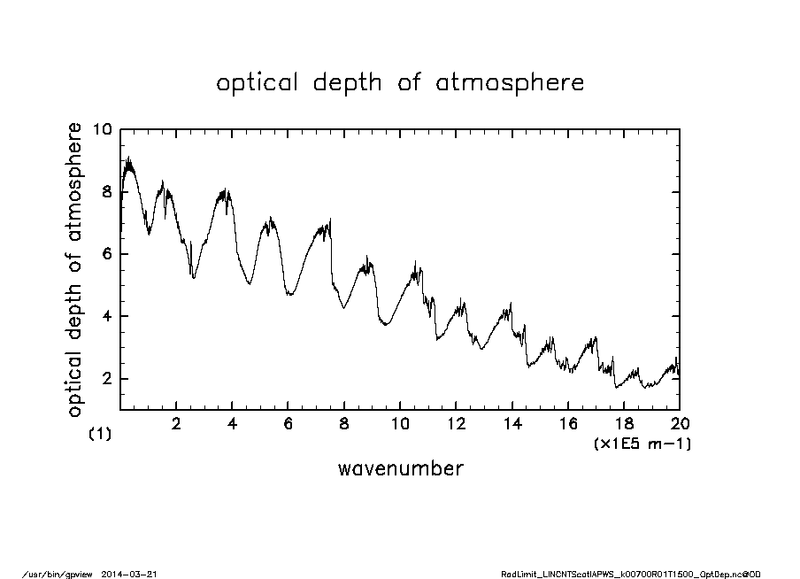 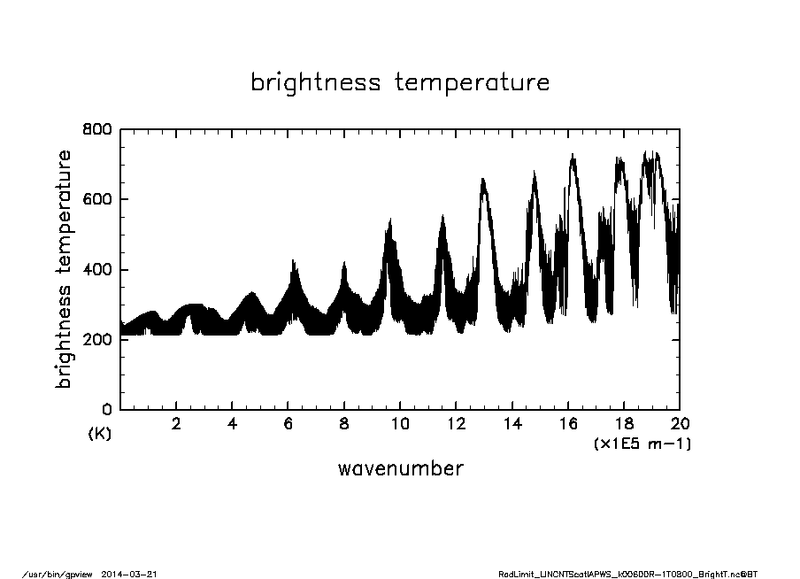 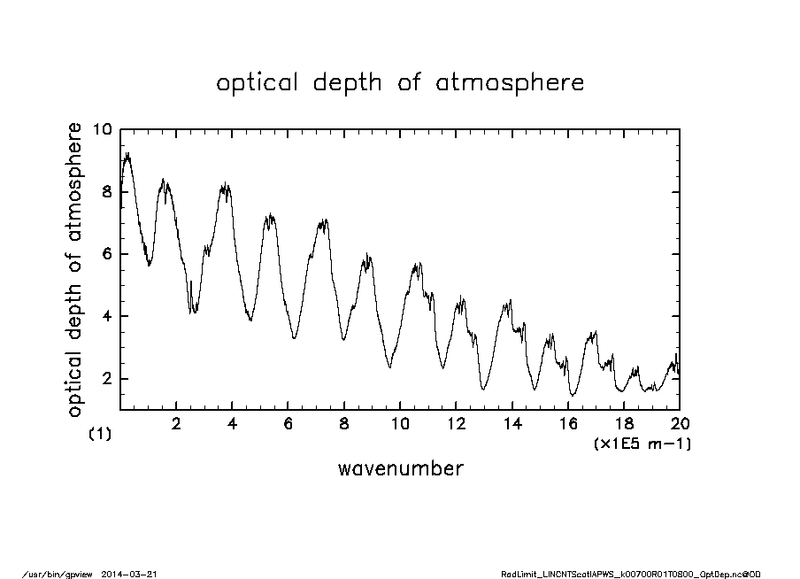 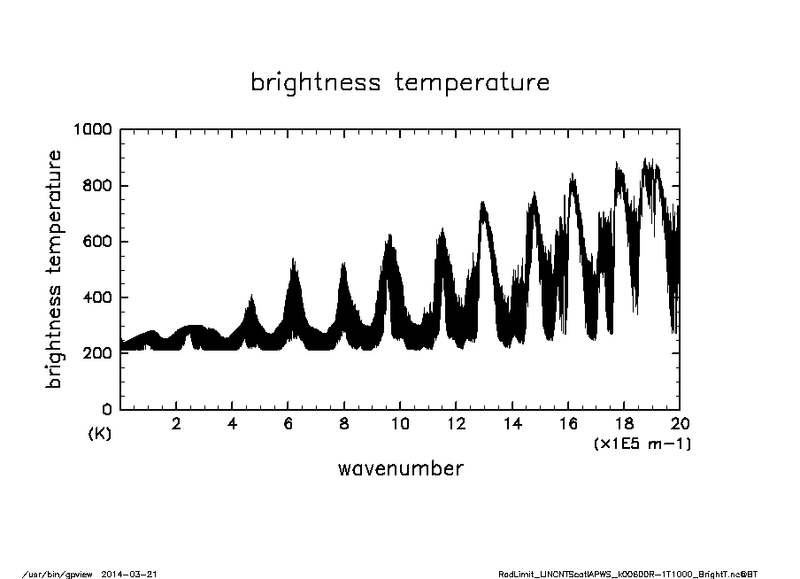 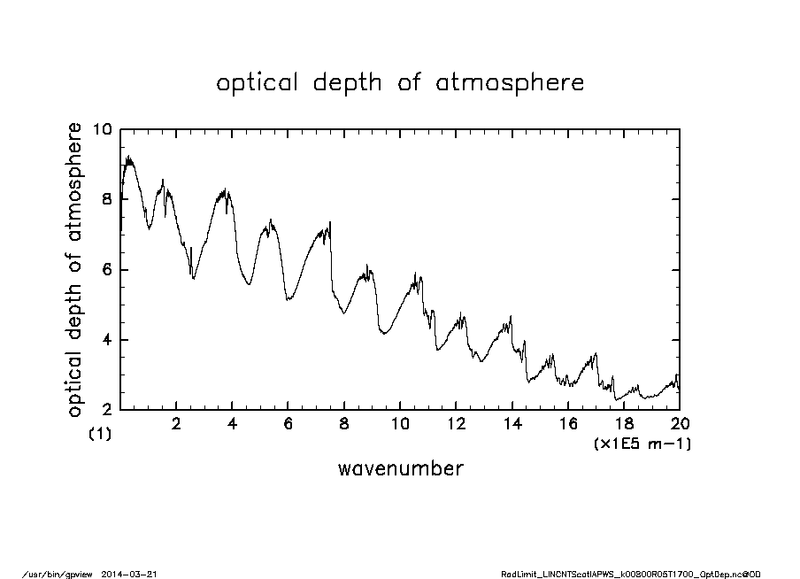 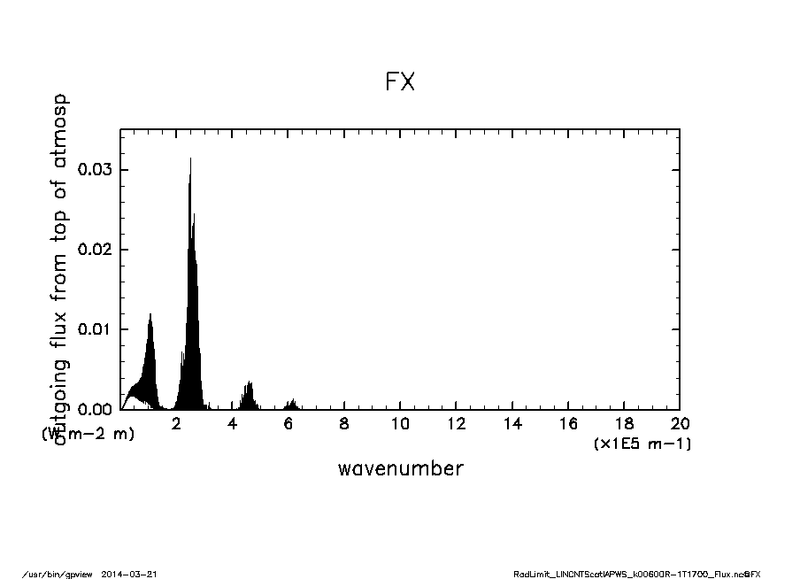 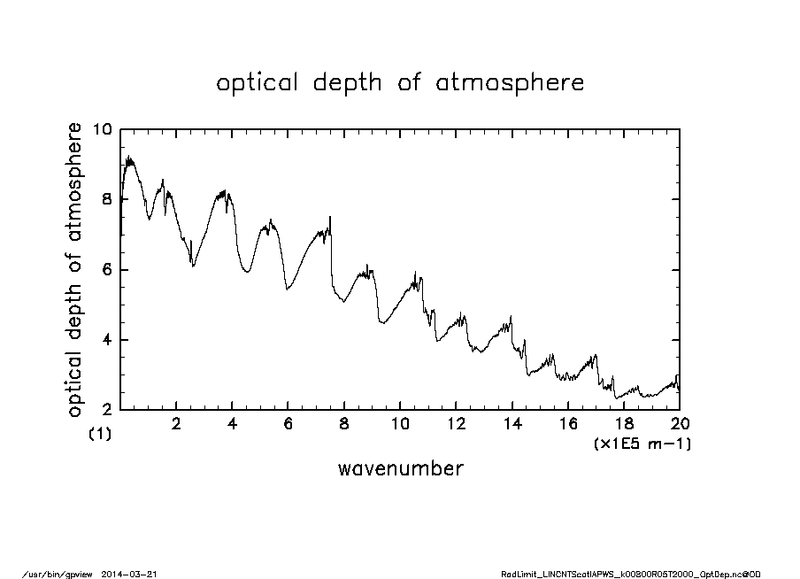 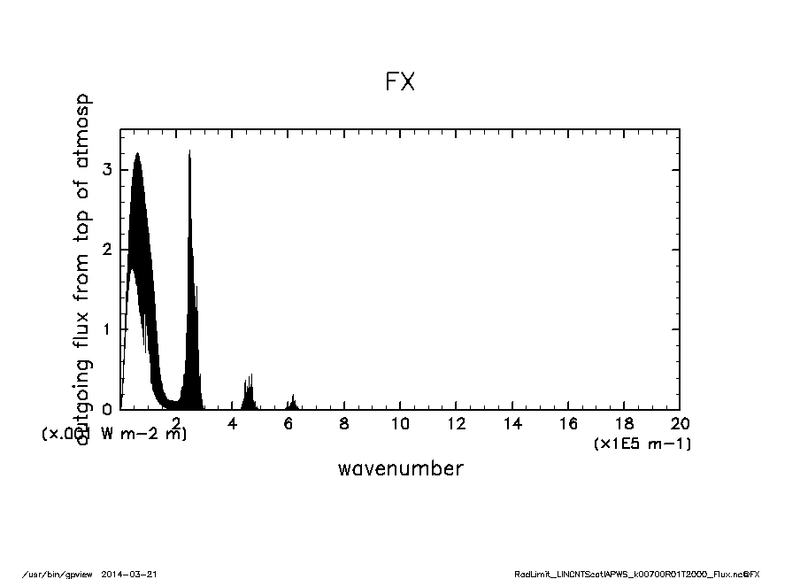 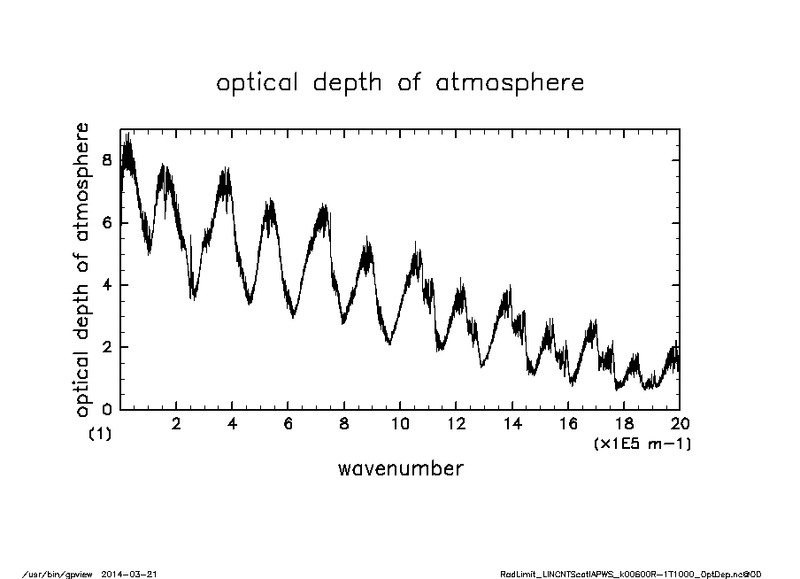 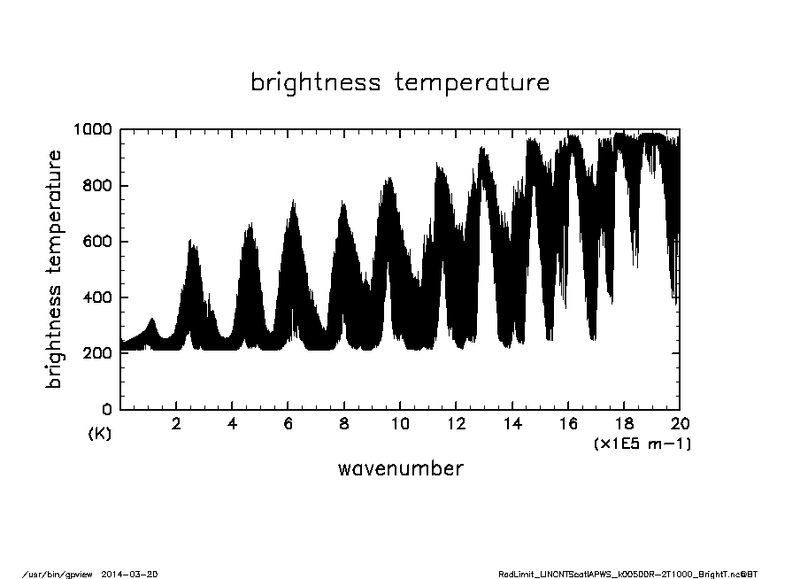 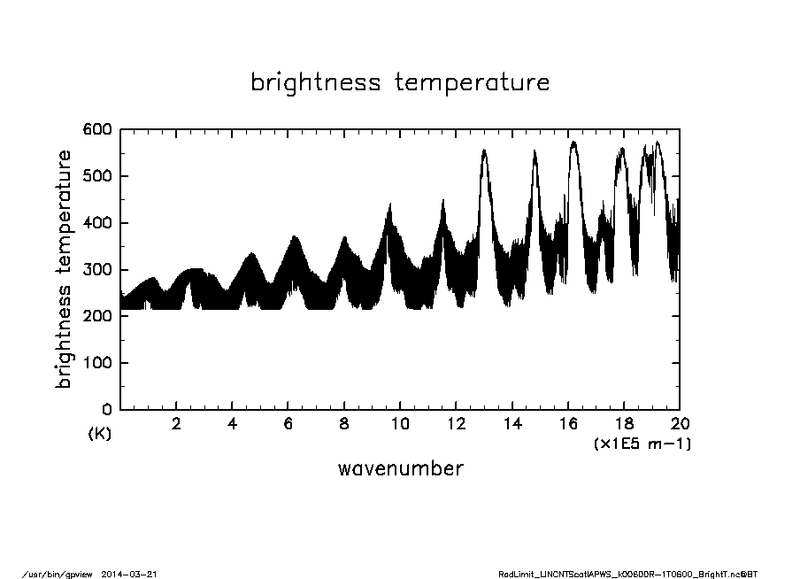 Rothman et al., 1998, JQSRT, vol.60, No.5, 665--710: The HITRAN Molecular Spectroscopic Database and HAWKS (HITRAN Atmospheric Workstation): 1996 edition. 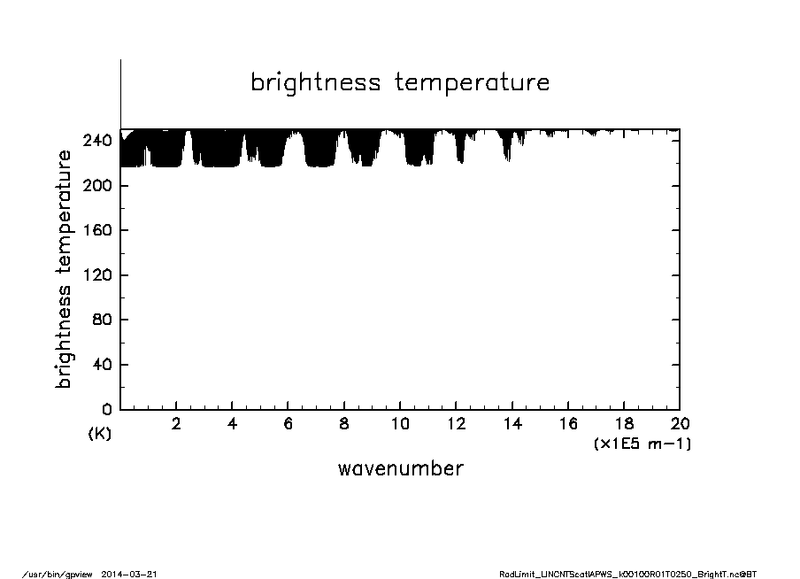 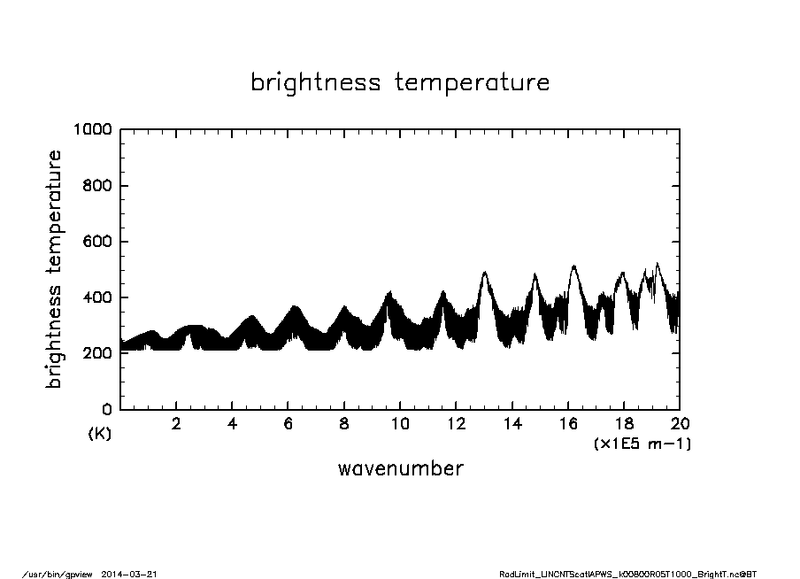 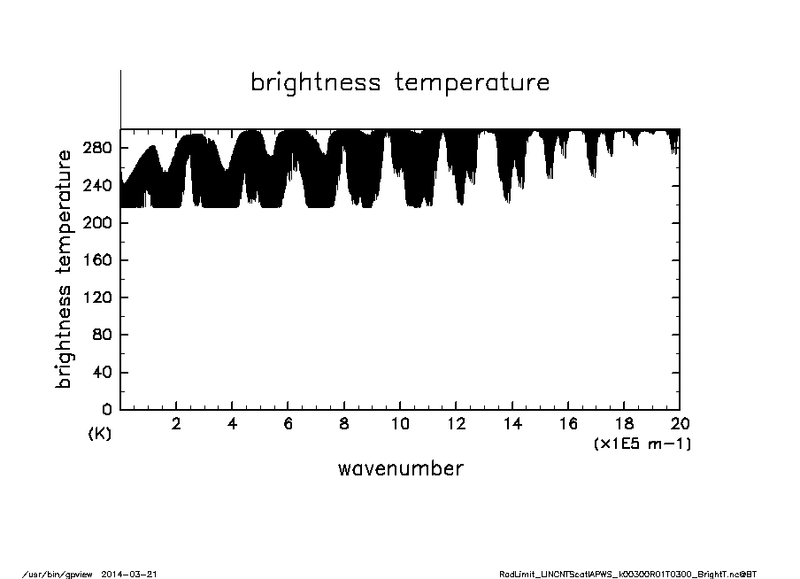 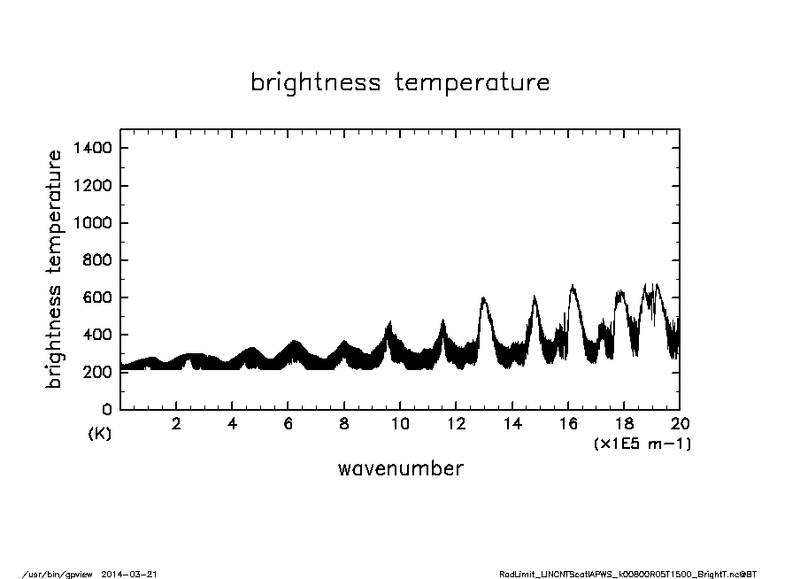 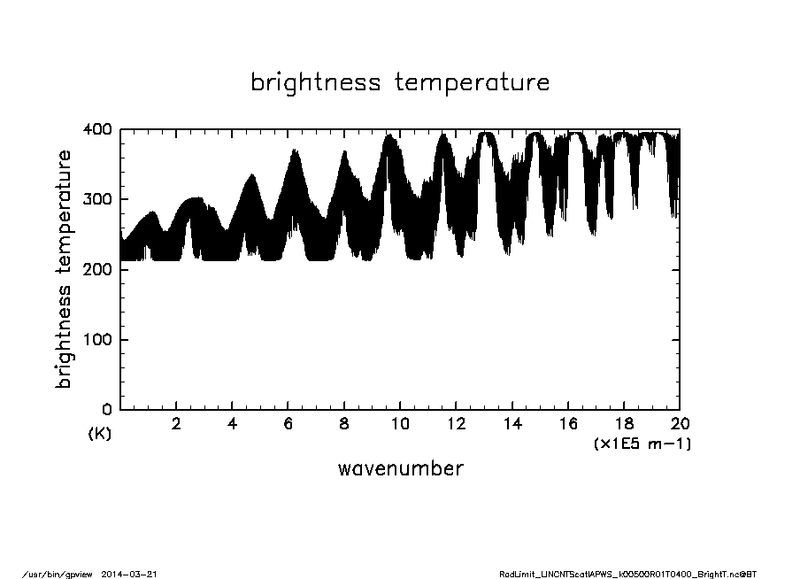 Rothman et al., 2010, JQSRT, vol.111, 2139--2150: HITEMP, the high-temperature molecular spectroscopic database. 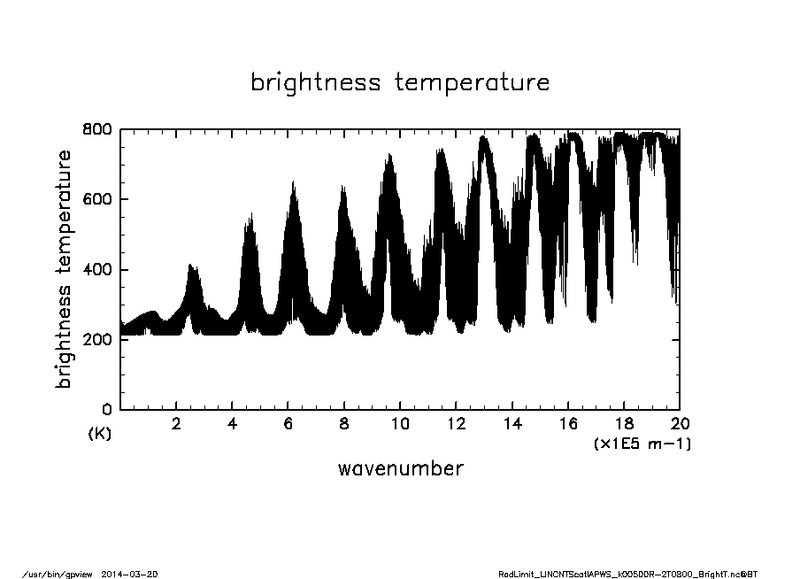 Ryuten 2004, JQSRT, vol.86, 231--233: Comment on "A new implementation of the Humlicek Algorithm for the calculation of the Voigt Profile Function" by M. Kuntz [JQSRT 57(6) (1997) 819-824]. We use MT_CKD continuum model (Mlawer et al., 2012) for calculating molecular continuum absorption.